The plan to fix the Electoral College and make every vote count equally is closer to the finish line than you think. 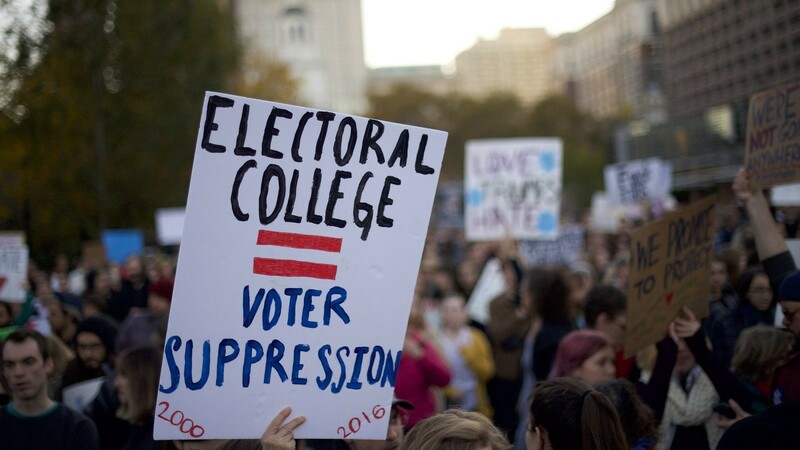 Amidst early speculation about the 2020 presidential election, something that has been largely ignored is the structural flaw that determined the outcome of the last contest: the Electoral College. For the fifth time in American history the candidate who won the popular vote did not win the presidency. And lest you think the Electoral College always favors Republicans, remember, John Kerry came within about 60,000 votes in Ohio from becoming President while losing the popular vote by over 3 million votes in 2004. It makes sense that the media might not focus on the Electoral College since most Americans probably assume we’re stuck with it. But the truth is, a plan to elect our next President by popular vote has been gaining momentum and is already more than half way to success. And it’s conceivable that by November 3, 2020, that plan — the National Popular Vote Interstate Compact (“NPVIC”) — will be enacted. The NPVIC is our best chance to change the current system because the Constitution allows states to decide how to allocate their electors on their own. Most have chosen to award all of their electors to whichever candidate wins the vote within their state; but it doesn’t have to be that way. The NPVIC is an agreement between states to award all of their electoral votes to the winner of the national popular vote. For example, if Candidate A wins the most votes in Vermont, under the current system Candidate A would win all 3 of Vermont’s electoral votes, even if Candidate B wins the most votes in the country. But if Vermont has enacted the NPVIC, if Candidate A wins the most votes in Vermont, but Candidate B wins the most votes in the country, Candidate B would win all 3 of Vermont’s electoral votes. Therefore, once states totaling a majority of the country’s electoral votes (270) sign on to the NPVIC, it would ensure that the candidate who wins the national popular vote always wins the Electoral College, and therefore, the presidency. So far eleven states and the District of Columbia have enacted the Compact, for a total of 172 electoral votes. Only 98 more are needed for the Compact to go into effect. And with many state legislatures actively considering the NPVIC now, it could cross the 270 vote threshold before the 2020 election. Now, of course, the Electoral College has its defenders. But most of the arguments in support of the ancient institution are more fiction than fact. Some claim that the Electoral College protects small states, but swing state voters are really the ones who benefit. Larger states like Ohio, Florida, or Pennsylvania get candidates’ attention. Small states like Montana or Delaware are still mostly ignored. Others argue that without the Electoral College, large “blue” states like California and New York would decide every election. But at the risk of blowing some minds, California and New York had over 7 million Trump voters in 2016. Under the current system, their votes didn’t mean a thing. Under the NPVIC, however, those 7 million Republicans would have just as much influence as voters in Florida or Ohio. Far from disenfranchising voters, an election by popular vote ensures that every vote carries equal weight. And even the Electoral College’s staunchest defenders cannot explain why a voter in Wisconsin should have more influence than a voter in Oregon, just because Wisconsin happens to politically divided and Oregon is safely Democratic. In addition to ensuring that every vote in the country is equally valuable, electing our President by popular vote could increase voter turnout. Safe states tend to have lower turnout than swing states, presumably because voters in safe states know they are unlikely to tip the balance of an election. Democrats in California know their candidate will win the state. Republicans know theirs will lose. So why bother? The NPVIC could solve that problem. So, before you get involved with a candidate for the 2020 election, consider supporting the NPVIC first. There is plenty of time to jump on a campaign in the next 18 months. But if your state hasn’t yet passed the NPVIC, working to ensure that it does can guarantee that in 2020, the candidate most Americans support actually wins the presidency. Originally published at thelogicalliberal.com on January 31, 2019.
aka “The Logical Liberal.” Activist and attorney trying to improve our political system — www.thelogicalliberal.com. Founder of www.citizenstakeaction.org.